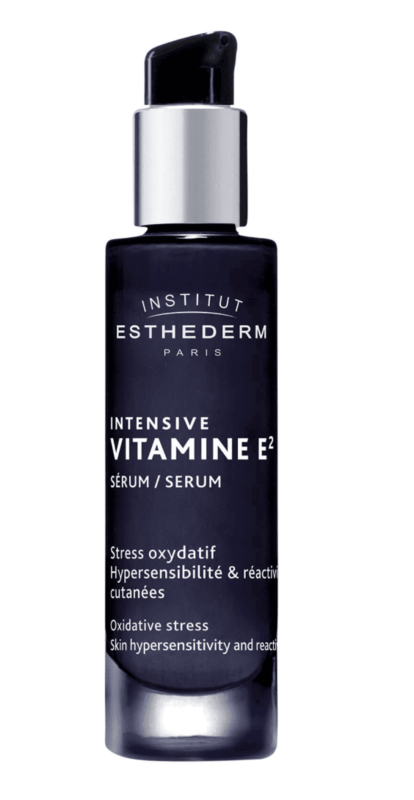 Actions: Esthederm's advanced research combines two complimentary forms of particularly stable and carefully dosed Vitamin E to create an exclusive complex to provide an immediate dermo-esthetic response to skin problems and help prevent aging in the skin exposed to stress and environment. Our body continuously produces free radical during normal normal metabolism and when under stress from the environment, free radicals damage the cellular components and create chain reactions that can be quite damaging. Anti-oxidants can stop this process by neutralizing free radicals that cause inflammation, discomfort and premature aging of the skin. Vitamin E, the body's main anti-oxidant, traps free radicals in the skin's cells and helps reduce inflammation making the skin less sensitive and less easily irritated. Results: Skin is immediately soothed, less sensitive and more resilient for lasting youth. Indications: For skins that are sensitive, fragile and environmentally challenged. Instructions for use: Apply morning and evening to clean, dry face and neck. Best if followed with the Intensif Vitamin E2 cream.